For a concise distillation of Odean Pope’s worldview, you could do worse than to visit an elementary school in North Philadelphia on one of the first warm days of spring. -along with the name JOHN COLTRANE, in block capital letters. Pope has been coming here every morning for a little over a week now; his visiting residency, sponsored by a grant from the Philadelphia Arts in Education Partnership, will be over in another couple of days. Today he’s checking to make sure his lessons have been absorbed. Now some of those hands are scratching little heads. Pope shows what he means, inhaling deeply and blowing into his horn for a solid minute, fingers running up and down the keys. As he circular breathes, his eyelids flutter and his cheeks balloon and deflate, like the bellows on some Willy Wonka Chocolate Factory machine. The kids naturally crack up; some writhe on their desks, huffing and puffing, while others collapse to the floor. “John Coltrane!” is the answer that comes back at him, in a piping unison. 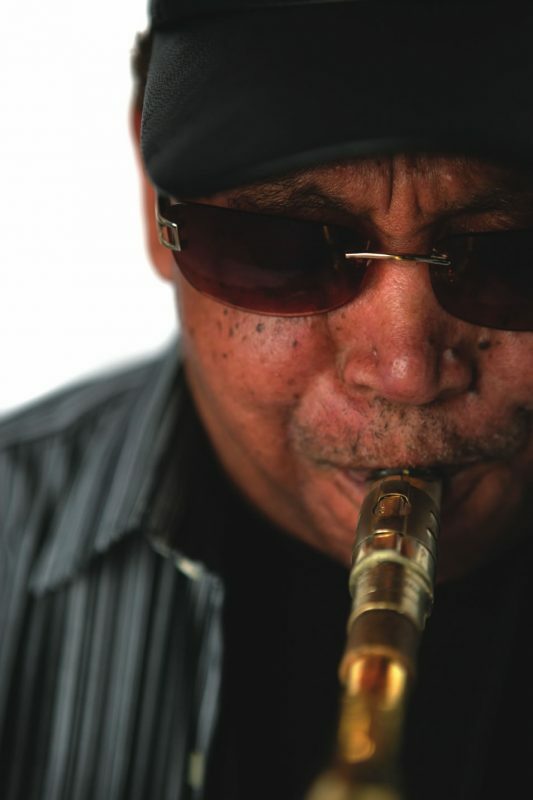 Odean Pope hasn’t exactly been a household name in jazz during his four-decade-plus career. But at home in Philadelphia, and among a circuit of aficionados stretching from Australia to Japan, that name commands a reverence bordering on awe. Pope gained early renown in the late-1960s as a post-Coltrane tenor terror and an intermittent sideman with bebop’s percussive architect, Max Roach. 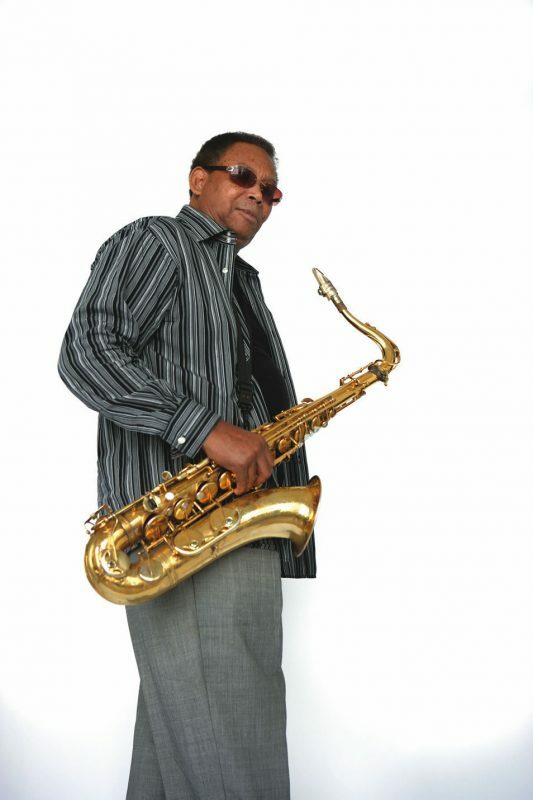 In the ’70s the saxophonist joined an early fusion group called Catalyst that was influential in musician circles. 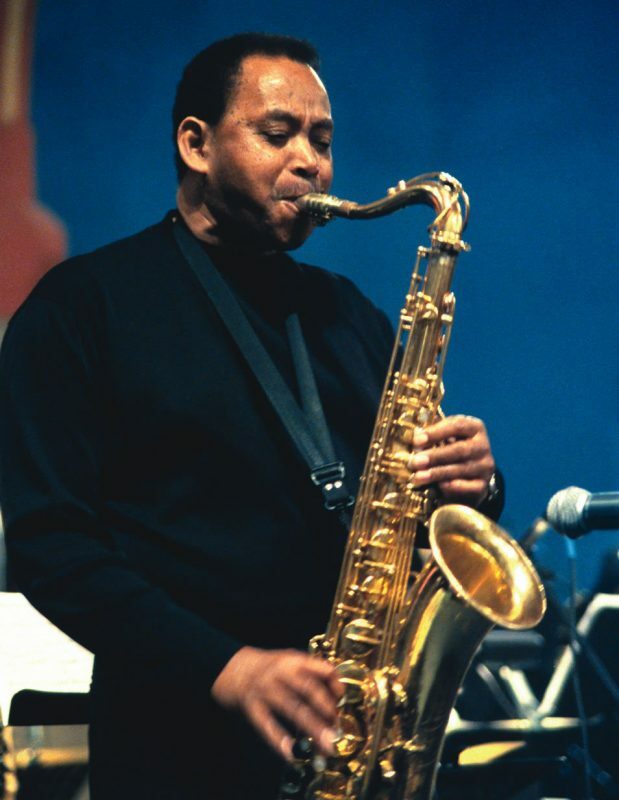 In the ’80s, when he wasn’t touring steadily with Roach, he was refining the sound and process of an unorthodox large ensemble-as many as nine saxophones plus a rhythm section-that he called the Odean Pope Saxophone Choir. Pope has less momentous thoughts on his mind as he strides down the front steps of Grover Cleveland and into mid-afternoon sun. Lunch, for one thing. He turns the corner onto North 19th Street and approaches his car, a Chrysler New Yorker with maroon velour upholstery. (Only later does it occur to me to christen this vehicle “The Popemobile.”) We climb in and set a course for his favorite diner in suburban Glenside, a 20-minute drive. Pope himself was an institution, in a local sense, even before that long apprenticeship with Roach. At the dawn of the ’70s, he was involved with a Philadelphia cultural initiative called Model Cities, tutoring underprivileged children. In that sense, not much has changed; public records show that nearly 85 percent of the children at Grover Cleveland are eligible for free or reduced lunch in the National School Lunch Program. (“We don’t have a music program at this school,” says Dina Valentino during Pope’s visit to her class. “We had a music teacher last year. She left. 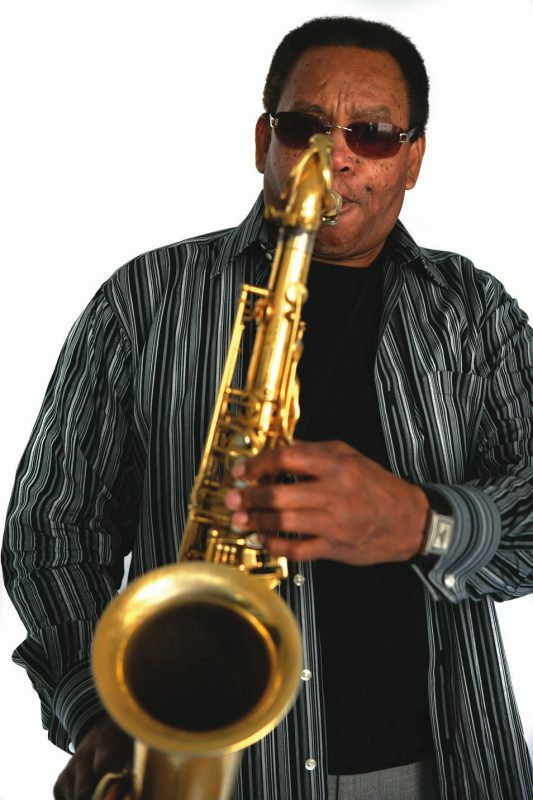 I don’t know what happened.”) Louis Taylor, a member of the Saxophone Choir who also performs in the band on the Food Network’s Emeril Live, remembers meeting Pope when he was 12 years old; Taylor credits Pope’s workshops, which he attended through high school, with sparking his interest in jazz. The Max Roach Quartet was an especially effective showcase for Pope. It was harmonically open, with a lineup of tenor, trumpet, bass and drums. Pope often joined Cecil Bridgewater in heated frontline duologue, a roving counterpoint of the sort found in Ornette Coleman’s music. And in his marathon solos, Pope explored a tenor vocabulary that was avant-garde in temperament but usually rooted in the blues. He made expressive use of multiphonics, the art of playing several pitches at once on the horn, and circular breathing, a technique that enables playing for extended stretches without pause. Later-in the Popemobile, after lunch in Glenside-Pope describes some of the projects he has apart from the Saxophone Choir. Next week he’ll be in California recording a quintet album under the leadership of drummer Donald Bailey, along with legendary trumpeter Freddie Hubbard. (As it happens, Hubbard doesn’t make the session, so Charles Tolliver fills in.) Pope also alludes to his hard-driving trio with Brown and drummer Craig McIver, the rhythmic core of the Choir. (This group, which can be heard on several studio recordings, will be premiering new work commissioned by the City of Philadelphia in September.) And there’s more: “I have string-quartet music, I have big-band music, I have French-horn music,” he says. He also has a history of bringing his arrangements on the road, for workshops with local saxophonists in such places as Finland, Australia and, a bit closer to home, Buffalo, N.Y. The moment prompts more reminiscence. Moments later we arrive at the corner of Cecil B. Moore and North Broad, now part of Temple’s urban campus, and the site of a SEPTA rail station. “There were clubs all around here,” he says, waving an arm toward a Barnes & Noble with a Temple Owls pennant in the window. Pope had sent the band’s book to each of his guests, with assurances that they would serve as guest soloists, without needing to learn any intricate parts. (Carter insisted on playing some of them anyway.) The best performances were selected for inclusion on the album; there was more than enough material for a sequel, which Pope hopes will be released in the near future. As circumstance has it, the album is one of the last recordings made by Brecker before his diagnosis of myelodysplastic syndrome. He almost canceled the engagement due to what was then a mysterious pain; hearing his exertions on the album, it’s almost impossible to imagine that he was already ailing. Even without that unintentional poignancy, Locked & Loaded is a powerful statement of purpose, comfortable in its relation to Coltrane-“Central Park West” receives a gorgeous treatment, and “Coltrane Time” launches into orbit, via Brecker-but fully expressive of Pope’s own musical identity. At times, the group’s eight harmonized saxophones suggest a single darting instrument; at other times, they hit like a gale force. Perhaps partly in response, Pope calls “Giant Steps” in the Saxophone Choir set that follows Murray’s, prefacing the first downbeat with an aside to the band: “It’s going to be right on the edge.” He’s right; it’s a careering, tightly voiced arrangement of the tune, and no punches are pulled. After the song grounds to a halt, Pope makes a point of mentioning that there are CDs for sale upstairs. His stage presence is companionable yet commanding. The Choir sounds solid as ever in its return to the club, and the absence of guest stars opens up solo opportunities for Taylor and Pressley, tenor saxophonists Terry Lawson, Seth Meicht and Elliott Levin and baritone Joe Sudler, in addition to the rhythm section of Burton, McIver and Brown. Pope conducts the group with sharp flickers of his wrists, along with a few spoken exhortations. He plays on only two tunes, “Terrestrial” and “Trilogy,” imbuing his solos with circular breathing and multiphonic coloration. This brings to mind a comment of Pope’s, from that afternoon in Philadelphia. “Every day I pick that horn up, I strive to be myself,” he said. It was an admission of the sort that any number of players might make, but Pope gave it a palpable intensity. Pope’s favorite Max Roach albums are To the Max! (Blue Moon) and Bright Moments (Soul Note), which feature himself and Tyrone Brown. 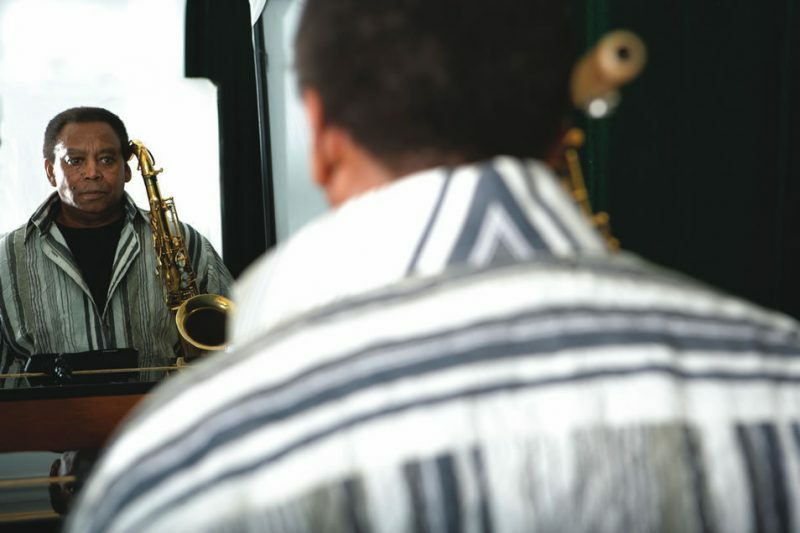 Prompted for a favorite performance by Coltrane, he says: “One of the ones I really listen to and like a lot is ‘Say It (Over and Over Again),'” from the album Ballads (Impulse! ).